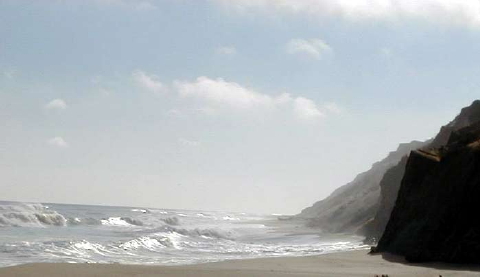 The Cape was cold and blue last week as wave after wave of Kemp’s ridleys washed ashore frozen dead. Internal body temperatures plunged to 32 degrees, as icy slush began to form along the shoreline. We knew no ridleys could survive these Arctic conditions, and only a miracle could save any Kemp’s still lingering in the bay. Well, the weather broke. We had a few days of moderate temperatures and gentle winds. And a miracle came to the Duck Harbor beach, bringing four live Kemp’s ridley sea turtles along with it. Kathy Tuxbury, the research biologist at Wellfleet Bay, discovered the first turtle in the incoming tide at 11:15 this morning. A nice size juvenile at 30.3 centimeters carapace length and 3.7 kilograms weight, she was quite lively and threatened to nip Kathy as she rescued her from the bay. Her body temperature registered a surprisingly warm 46 degrees, but her breathing was raspy and fast. So, we decided on an immediate transport to the New England Aquarium for more aggressive intervention. 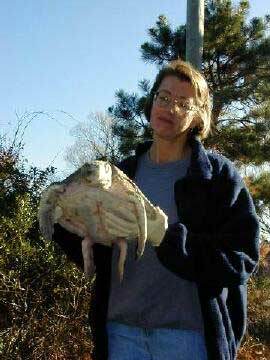 As we prepared the turtle for transport, a resident walking the beach south of Kathy’s find brought in another live ridley from Duck Harbor. Nearly three centimeters bigger than the earlier turtle and weighing 4.1 kilograms, she too seemed surprisingly well and sported an internal body temperature of 51.6 degrees. She joined the first turtle in an ambulance run to the Sagamore Bridge rotary for relay to the New England Aquarium in Boston. By the time I got back from the turtle relay, Kathy had recovered another live Kemp’s ridley from the afternoon high tide just north of the first two turtles. This one was considerably smaller at 26.65 centimeters and only 2.7 kilograms. Yet, she too had a 48.5 degree body temperature and seemed in fairly good condition — for this time of year. A phone call alerted us to another ridley immediately in front of the Duck Harbor parking lot. Amy Kiebala, the Sanctuary’s children education coordinator, raced her team of students to the north Wellfleet beach to rescue this turtle: 31.8 centimeters long and weighing 4.1 kilograms. We’re counting our blessings tonight: four live Kemp’s ridleys, the rarest sea turtle in the world, at least a week beyond any reasonable hope of finding another one alive in Cape Cod Bay. We’re doing a lot of quick thinking, too. How could these critters have survived last week’s frigid conditions. 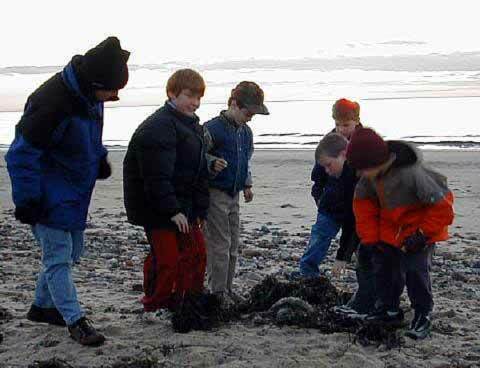 Was there a warm sink somewhere off Wellfleet in which these turtles were able to hunker down and avoid freezing? Or did these ridleys mysteriously snap back from the ~ 32 degree internal body temperatures we recorded around 23/24/25 November? Whatever the reason, we’re not looking a gift horse in the mouth. But we are still looking. 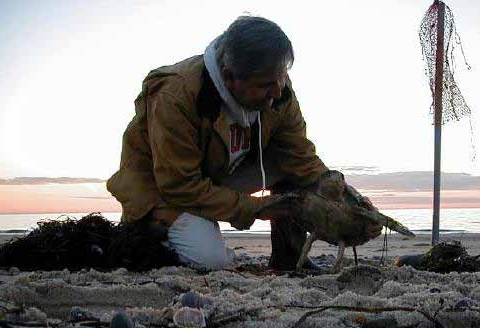 Tomorrow morning sea turtle patrols will hit Wellfleet and Truro beaches around Duck Harbor, praying for a few more miracles. 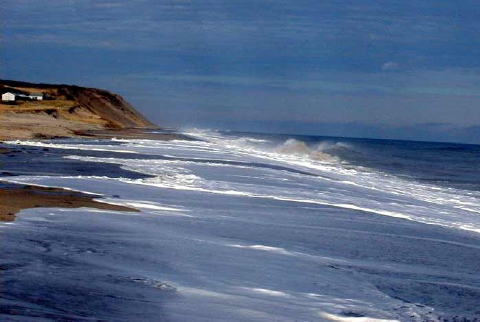 Come November the Atlantic reclaims her summer gift: the long, deep, gentle shoreline of the Great Back Beach — nearly 30 miles of towering dunes and sun-baked sand. Ocean breakers, swelled by waves of nor’easter storms, chisel the shoreline, scooping mountains of beach to rebuild once-lethal winter sandbars which formed the graveyard of the Atlantic for countless sailing ships of yore, . . .
. . . sculpting elegant curves and billiard-sharp angles to transform the sleek slopes of summer into Dali texture and Picaso form, . . .
. . . and carving a new rugged face on Ole Cape Cod. While strong winds and high tides drive cold-stunned sea turtles onto November beaches, perting our attention to these visitors, exotic and tropical, we can’t forget Cape Cod Bay’s resident turtles — the exquisite, yet threatened, diamondback terrapins. 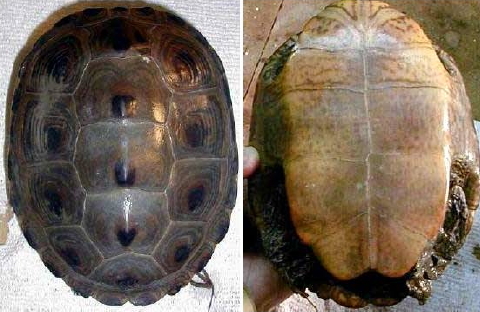 And while most right-thinking terrapins have burrowed under the ooze for seven months of well-earned brumation, their habitat warrants constant inspection to ensure it remains hazard free and to collect the remains of turtles that may have succumbed to some unfortunate circumstance this fall. Luckily, the sea turtle patrols demand high tides and the salt marsh sweeps need low tides. 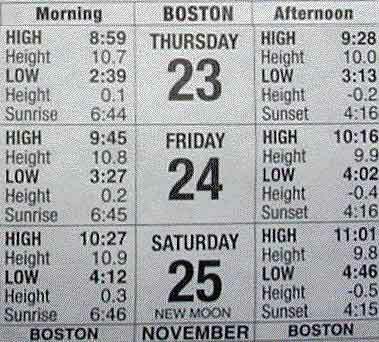 One disadvantage of a new moon cycle in late November at the northern end of the universe is trying to find a usable conjunction of low tide and sunlight. Today, for instance, the morning low comes two and a half hours before sunrise, and the evening low falls a half hour after sunset. I chose evening. On the plus side, though, this latest string of frigid days has coated the muddy muck with a thin layer of ice, allowing deeper penetration into the marsh. That is, as long as you engage in something akin to a “chicken walk,” placing each boot gingerly, yet squarely on the ground ahead, spreading your weight as evenly as possible, and quickly moving on before you break through the wafer crunch and sink into quick mud. Perhaps we should trade-in our boots for chicken feet or snow shoes. Peering through the murky darkness, I spotted a dead female terrapin lying plastron-up at the edge of the main marsh creek south of Indian Neck’s Fox Island. A quick flashlight check of her marginals showed she had been captured and marked previously: #388. Her history would have to wait until I could search the database back home. 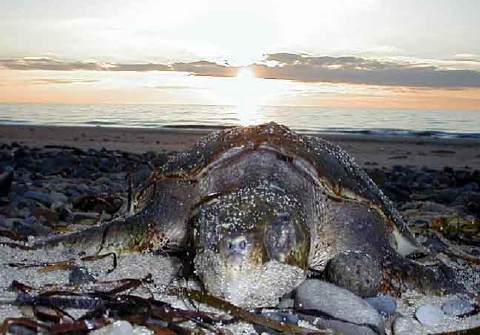 Terrapin 388 had first been observed on 12 July 1995 as she came ashore on Lieutenant Island (across the channel from the Indian Neck marsh where she now lay dead) to nest on a dirt road by Turtle Pass. 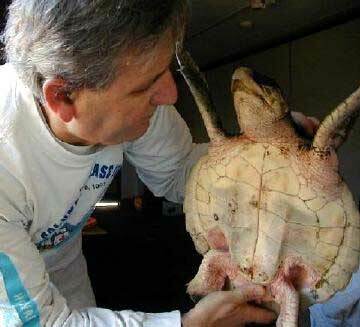 At the time she was 16.0 centimeters carapace length and 680 grams weight, both of which indicate that this July afternoon a half decade ago marked her first year of sexual maturity and her first nesting season. 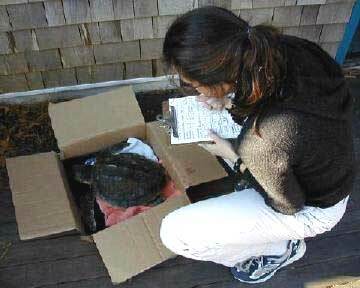 Since then, she had increased about a centimeter in all dimensions, a normal growth pattern for mature Wellfleet terrapins. And she died at the height of her productive years. 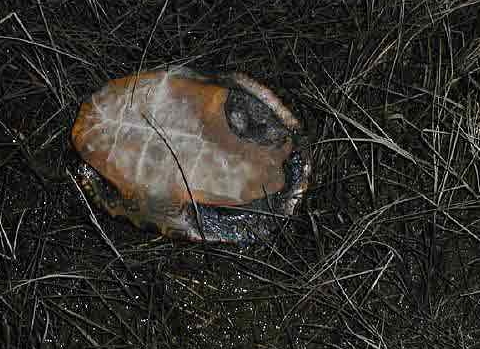 Her body was mostly decomposed, yet her shell showed no signs of predation or injury. The only marks she sported were some mating scratches on her 5th (rear) vertebral. Unfortunately, her remains bring us no closer to definitively establishing the cause of death for the 23 terrapin carcasses we recovered so far this fall from the Fox Island Wildlife Management area. The Sanctuary’s recovery room transformed into a morgue as frigid conditions grip Cape Cod Bay. Three frozen Kemp’s ridley sea turtles lay in a row. 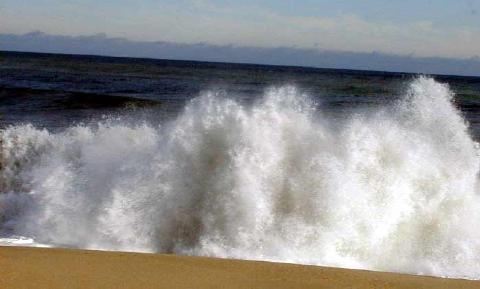 Two had washed ashore on Truro’s bayside beaches; the third was discovered in Orleans’ Rock Harbor. All dead on arrival. 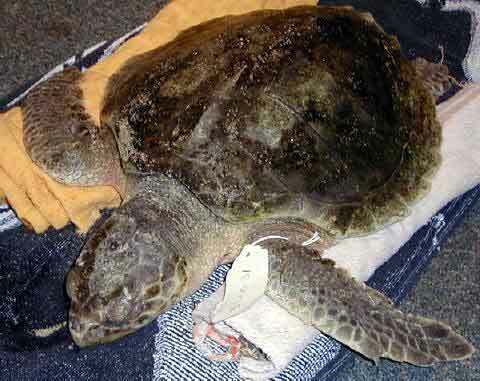 A fourth ridley was found by beach walkers as she came in with the tide at Linnell Landing in Brewster this morning. With an internal body temperature of 32.7 degrees, there was little hope. While her skin still seemed fresh to the touch, there was no observable reaction to stimuli, and her lungs seemed filled with water. 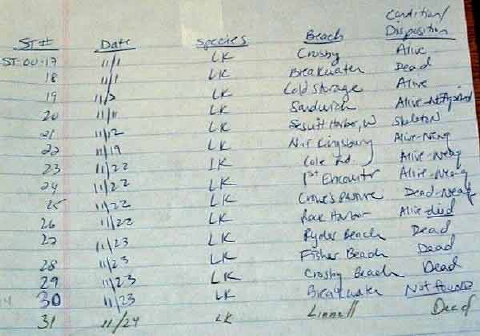 Our informal running tally shows 15 “LK” (Kemp’s ridleys) sea turtles recovered since 1 November, one of which (ST-00-21) may have been a leftover from last year’s strandings. And with air temperature dropping into the low 20s, wind chill in the single digits, and water temperature recorded yesterday at 2.5 Celsius, there remains little but hope and prayer for a miracle to save any ridleys still lingering in the bay. 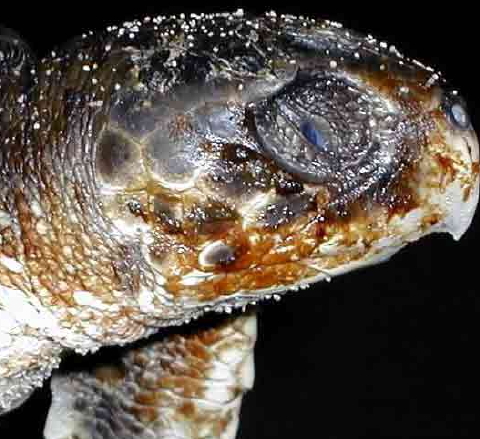 Conditions are ripe, though, for the first loggerheads — with their greater body mass and tank-like resilience — to make an appearance. Temperatures dipped below 30 under Arctic crisp skies. Northwest winds blowing 10 to 15 mph focused our sea turtle patrols on south Eastham, Orleans and Brewster, the inside arc of the elbow. Twenty miles to the north the Pilgrim Monument, decked in Christmas white lights, marked the Cape’s fist across an inky black bay in Provincetown. 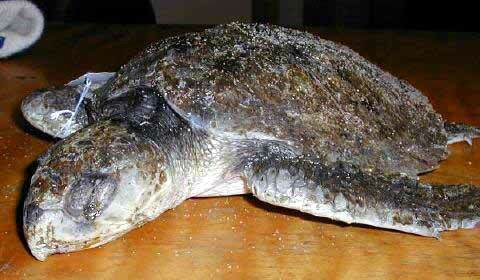 This afternoon the 10th Kemp’s ridley was recovered, dead, from Rider’s Beach in south Truro. 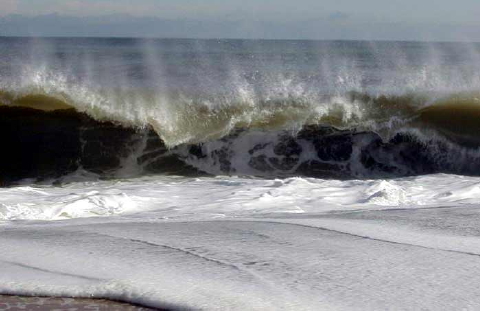 This first Arctic blast with plunging water temperatures bodes ill for any ridleys remaining in Cape Cod Bay. Even the bulkier loggerheads will begin cold-stranding as winter takes hold at the end of the universe. 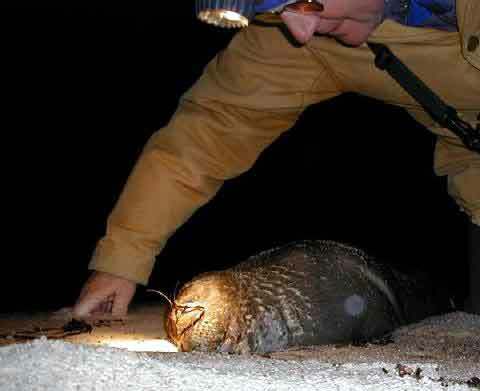 So, it’s imperative to rescue these turtles as soon as they wash ashore, to prevent death from hypothermia — all of which translates to night patrols. Tonight’s high tide came a little before 10 P.M. and our first find was another dead seal beached between Point of Rocks and Breakwater in Brewster. 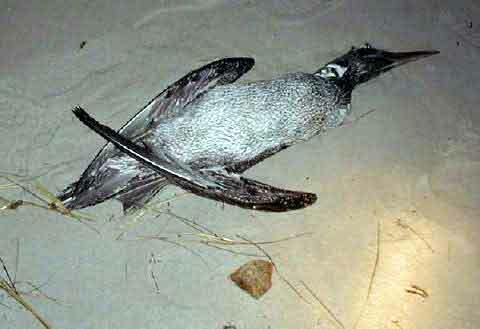 At Skaket Beach in Orleans, a gannet had floated in with the tide. These pelagic dive bombers drop from dizzying heights to fish the Cape’s waters. Sometimes, though, they hit at a bad angle or pick a spot just too shallow for their Olympian dives, and necks break from the strain. At Crosby Landing, the 11th ridley of the season was found washing ashore with the tide. Retrieved from breaking surf, she seemed stone cold to the touch. Back at the Sanctuary this tiny ridley of just 21.5 cm carapace length and 1.5 kilograms weight registered an internal body temperature of only 33.8 degrees. Her eyes were dehydrated and fixed and it was impossible to determine whether she was, in fact, still alive. Nevertheless, cleaned and lubricated, she was placed in the cold recovery room at ~ 42 degrees to begin the long thawing process. 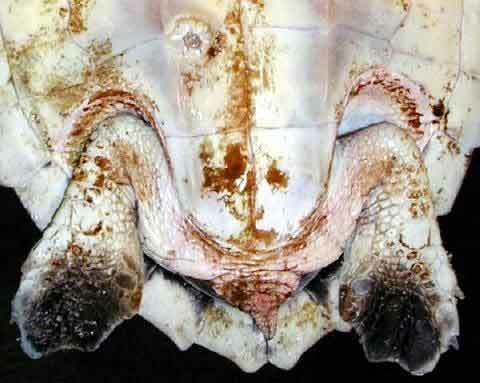 Adding to her challenges, we discovered on her underside a large barnacle embedded in her plastron. You are currently browsing the Turtle Journal blog archives for November, 2000.